All your needs have been catered for in this gorgeous four bedroom, two bathroom home. You’ll love entertaining in your modern kitchen, complete with European appliances and ducted range-hood. Open living and dining area spills out into your undercover alfresco area and the green lawn of your backyard. Wandering upstairs you’ll appreciate the ample size of your bedrooms, each with built-ins, except for your master which has ensuite and walk-in robe. Thoughtful inclusions like study area, split system air-conditioning downstairs and ducted air-conditioning upstairs ensure ease of living. 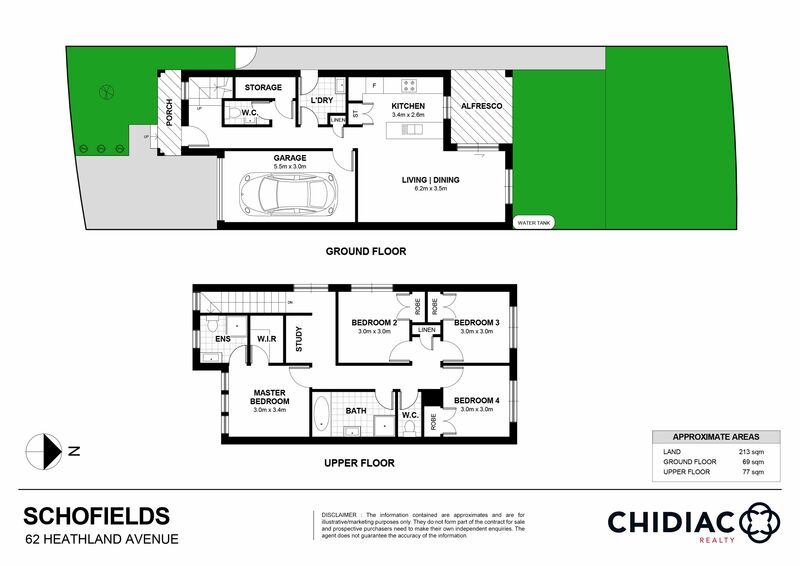 Your new home is ideally located only 2.4kms to Schofields Public School, 2.6kms to Schofields Train Station and local Bus Stops and just 6kms to Rouse Hill Town Centre. Create your new lifestyle today, contact John Ye on 0415 133 133 for any questions or to book in a time to inspect.